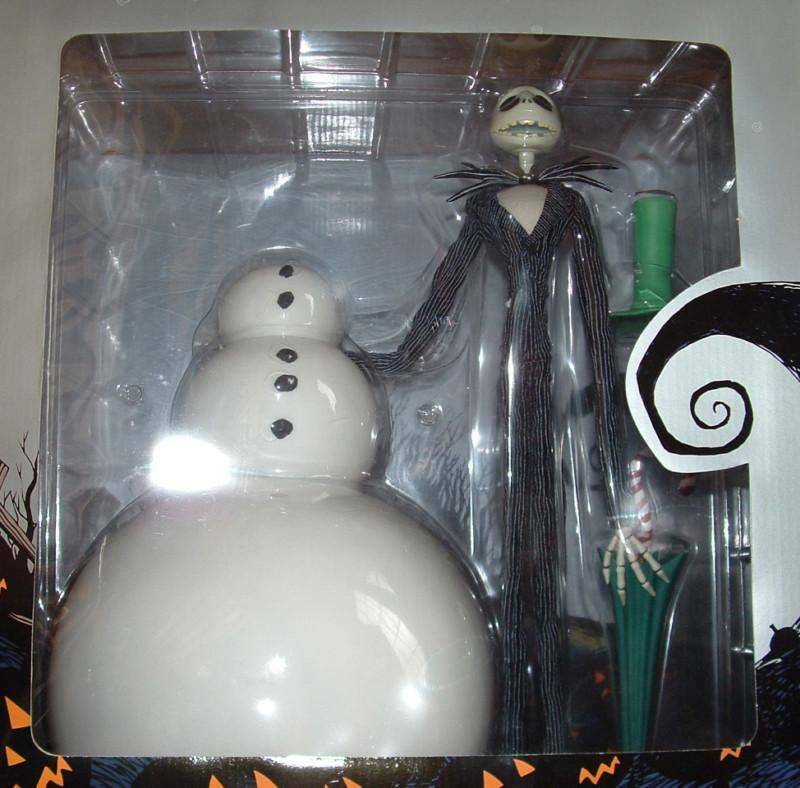 The Nightmare Before Christmas Deluxe Collection is back, and it's more deluxe than ever before! 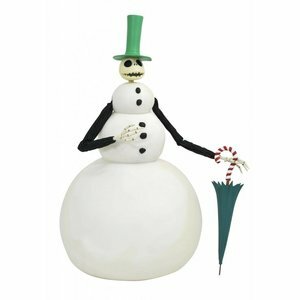 Two new releases take the line into new territory, with Snowman Jack -- who includes a removable snowman costume, with hat and umbrella -- and Lock, Shock and Barrel, the line's first three-pack, with removable hat and masks! Each cloth-costumed figure looks like it stepped off the movie screen, with multiple points of articulation. 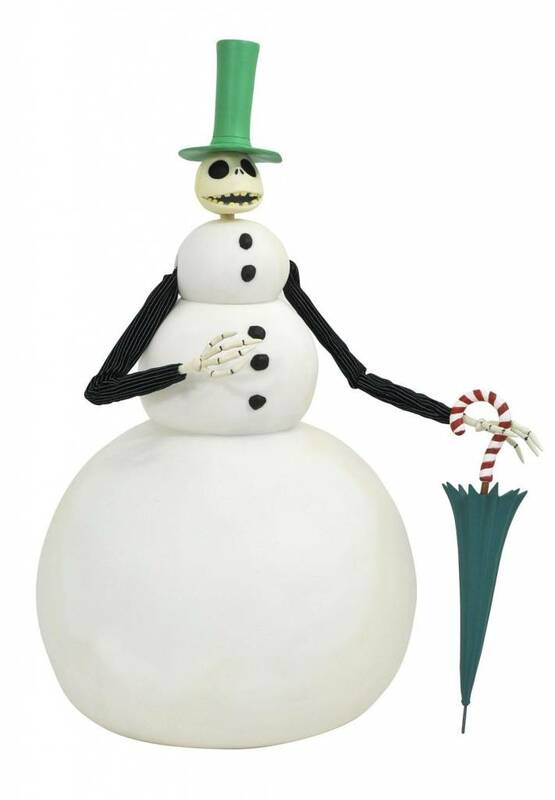 Lock, Shock and Barrel measure approximately 13 cm tall, and Jack measures 40 cm tall with doll stand.